The purpose of this blog to update participants in the New Canaan Mens Investment Club with relevant information about the status of their portfolios. 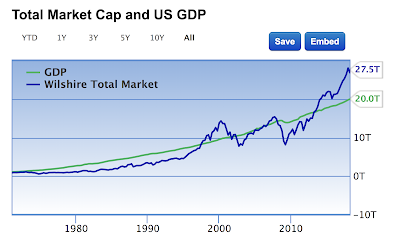 As of 05/03/2018, the Total Market Index was at $ 27.5 Trillion, which is about 137.8% of the last reported GDP. 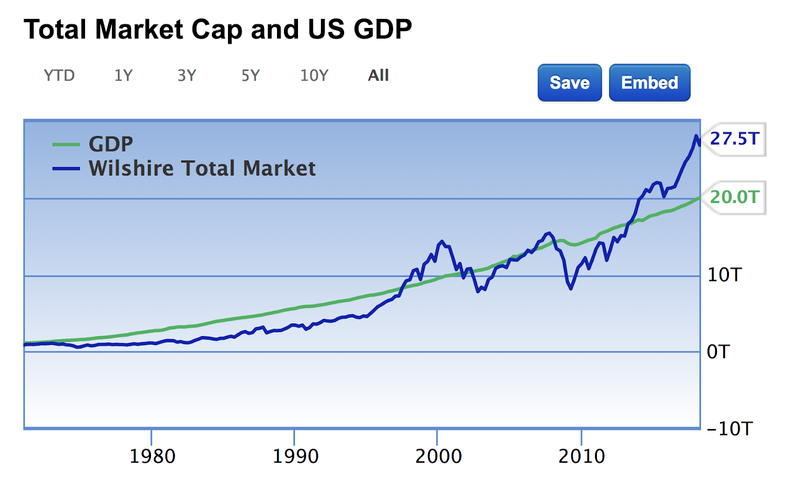 As result of its premium priced US stock market is now positioned for an average annualized return of a negative -1.6%. This includes the returns from the dividends. 1. 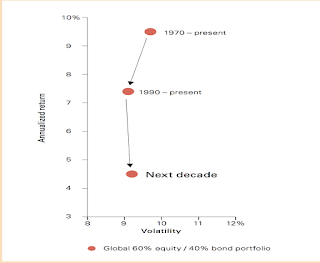 Rebalance portfolio before recession occurs. 2. Use indicators can partially predict recessions. 3. 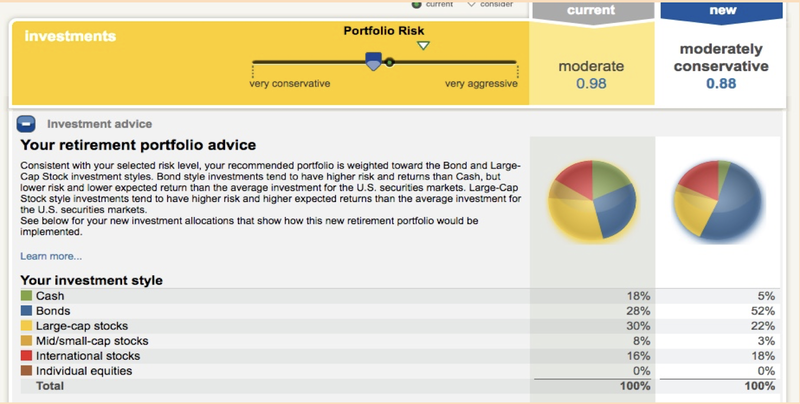 Analyze the quality of your portfolio. The cyclical characteristics of this effective funds rate shows a high correlation with every steep decline in the economy. Given the current low levels of federal funds a recession may be incipient. Current levels of investor's margin debt will support high stock valuations and potentially support ten to twenty times the intrinsic valuation of shares. Investor margin debt can support over $6 trillions of investments in the market that can be then instantly sold in a panic, thus precipitating a market "crash". This yield curve has cyclical characteristics that have anticipated the coming recession by about four months in advance of prior four recession. This indicator is one of the most frequently referenced recession sign. Its latest proximity to a zero level in the difference in Treasury interest rates (between two year and ten year interest rates) suggests that the next recession may be appearing within four to six months in the future. Such a risk analysis shows a reduction of the portfolio risk from 0.98 to a more conservative 0.88. 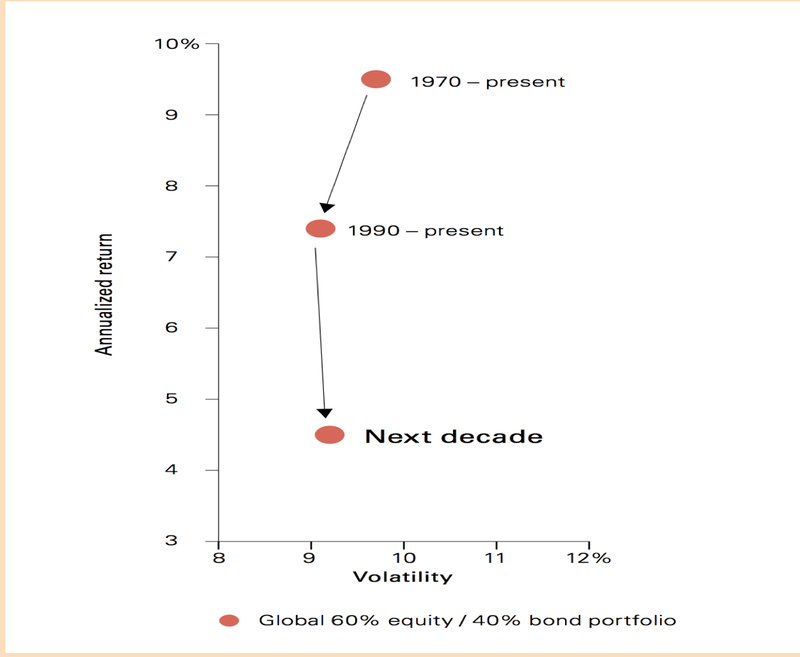 Investors with a life expectancy of less than ten years may choose to lower portfolio risks to less than 0.75. The illustration portfolio shows a significant increase in dependency on bonds and on international investments, which may be generally appropriate policy at this time. The most significant finding from reviewing a retirement portfolio is a re-examination of an investor's end of life adequacy of funds. that would cover the life of the longest surviving spouse. There are two effects that will determine any projections as to the real worth of a retirement portfolio for the next two decades: reduced profitability and inflation. Reduced yields from investments that will diminish the positive cash flow that investors enjoyed during the past forty years. The expected future returns of about 4% will be further diminished by rising inflation of over 3% and a further decline the depreciation of the US dollar that will effect the large share of the US international trade. Rising inflation that will result from interest paid on rising debt levels, from increasing deficits in public sector spending and from a negative balance of trade. It will require a substantial accumulation of conservatively invested funds to overcome the negative prospects that are now faced by investors. Retirement funds should be managed in anticipation of their reduced worth, which is a change from gains that prevailed in prior decades. This blog does not address additional risks that will originate from the reduction in the dominance of the US dollar arising from changes in global geopolitical conditions. That topic will be addressed in a separate blog.